This badge was issued to Peter Trudell on 18 Nov 2015. 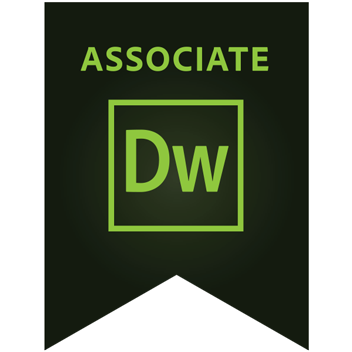 The Adobe Certified Associate (ACA) certification is the industry-recognized validation of one’s skill in Adobe Dreamweaver CC. This certification requires an in-depth knowledge of setting project requirements, planning site design and page layout, adding and organizing content using Dreamweaver, as well as an understanding of the Adobe Dreamweaver CC interface. This certification version is now outdated but is still valid.